Home > Archives > Contests > Los Angeles! 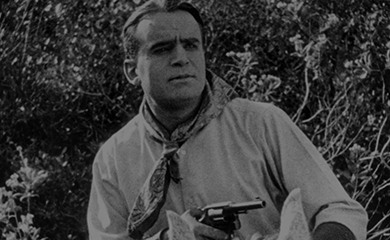 Win Tickets to Douglas Fairbanks’ WILD AND WOOLLY Saturday, May 21 at the Egyptian! Our Los Angeles fans have the chance to see Wild and Woolly (1917), featured on Douglas Fairbanks: A Modern Musketeer, on screen this Saturday! Win a pair of tickets to Douglas Fairbanks' Wild and Woolly at the Spielberg Theatre at the Egyptian in Los Angeles, CA on Saturday, May 21 at 7:30 p.m.! Plus several surprise shorts! With live accompaniment by Cliff Retallick! 8mm screening in the 80-seat Spielberg Theatre at the Egyptian. Click here for more information. Tickets are available at the box office or online here: $11 General, $7 American Cinematheque Members. Subscribe to the Flicker Alley newsletter below for the chance to win a pair of tickets! The film was an enormous success as a comedy-western and time has proven it to be one of the most enduring and endearing of the Fairbanks comedies. 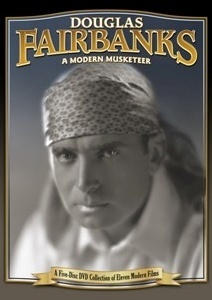 Douglas Fairbanks: A Modern Musketeer, A Collection of Eleven Modern Films. See Official Rules link below for details. Giveaway ends Friday, May 20, 2016 at 9 a.m. PST.